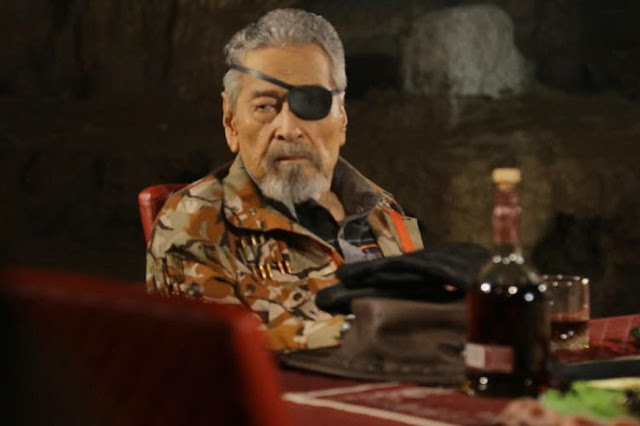 Panoorin: Eddie Garcia, Sinagot ang mga Reporters: "Walang Problema sa akin Mag Martial Law"
This is a video made last year where media personalities interviewed the veteran actor Eddie Garcia. 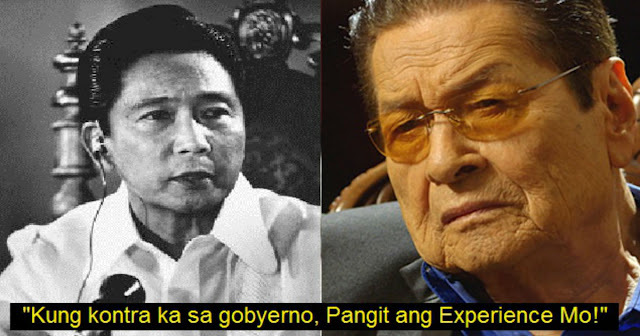 The actor was part of some movies about Martial Law. Because of some reporter's curiosity, they asked Garcia what he experienced when enforcing the martial law in the country. “Wala naman problema ang mga artista noon (sa Martial Law) because you’ll get a curfew pass at pwede kang mag-shooting magdamag. 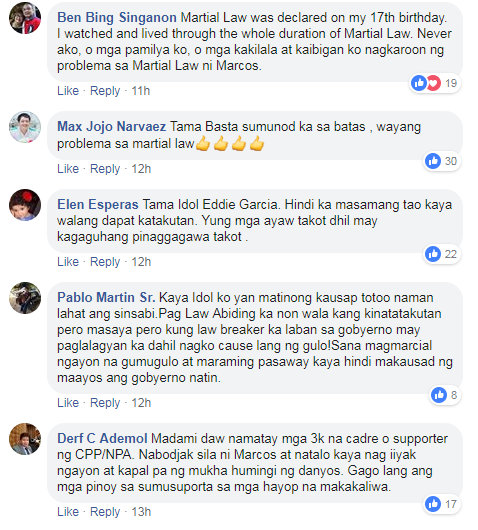 I never experience a nightmare in martial law. Ngayon, kung kokontra ka sa gobyerno, mae-experience mo di ba? Wala kang problema. Ngayon, kung kokontra ka sa gobyerno, magkakaproblema ka,” answered Garcia. Garcia has already appeared in 400 movies and television programs. 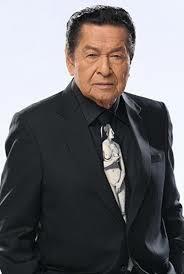 The most famous tv show he has ever been is FPJ's "Ang Probinsyano" where he performed as Don Emilio Syquía / Gustavo Torralba. 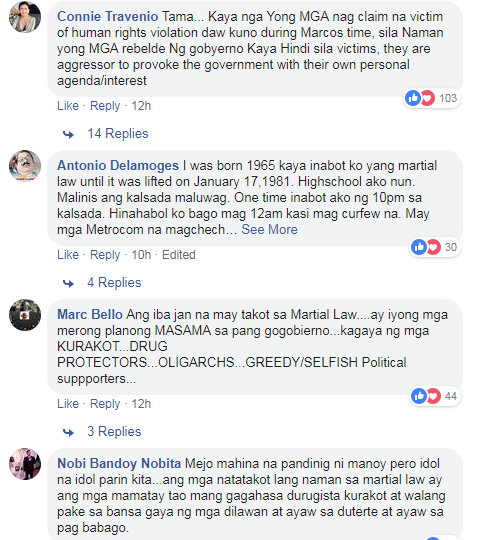 Trending Balita: Panoorin: Eddie Garcia, Sinagot ang mga Reporters: "Walang Problema sa akin Mag Martial Law"